Is Clickbetter a Scam? They Need to Improve a Lot! Price: Free program to join and sell products on (they take a percentage) as well as be an affiliate for. It’s a network where you’ll find a large majority (if not all) products being sold are off the make money online (MMO) topic. As a network, this place is NOT a scam, but the BIG problem plaguing it’s reputation is that most of the garbage programs in the MMO industry are sold on THAT particular network. Auto Home Profits: 1 out of 10 stars. Full review. Millionaire Biz Pro: I had an issue with my purchase, had to refund it, but it’s also part of this network. Here’s my review. 12 Minute Payday: 1 out of 10 stars. A very nostalgic scam that one was! Full review of that. 1) They run a legitimate processing system, meaning they take credit card purchases, handle refunds and have decent support. I’ve had my complaints with the products on their network expedited quite quickly, meaning if you’re not happy with a program that’s part of that system, you can feel calm knowing you’ll get that refund. 2) There’s no real filtration from what I know in judging a good program from a bad one when it comes to this place, so if you’re the type of person who creates digital products relating to making money online, this may be one of the easiest places out there to get approved by. Why would you want to get approved by them? One of their biggest pros is also one of their biggest cons which is no real filtration/screening (in my experience) of the products that are on it. I feel like anyone, including scammers can just put up a product there with no issue whatsoever, get approved and make money from that. If you’re an affiliate marketer who wants to make good money online selling actual make money programs/systems, which ones will pay the most? No surprise there. You have a lot of choices with this network, but I’d really filter out which ones actually work before promoting anything. If there’s any network out there which has made incredible changes/improvements to their system since their inception, it’s Clickbank. While you can find more than just MMO products to promote there, it’s the one network where vetting is big, customer support is huge, and their demand for delivering high quality products is top notch. I’ve physically done business with this place (And made over $500k there) so I know how they operate and I do recommend them (I’m not promoting them by the way, so this recommendation is unbiased). A) WA premium membership for $49/month (You get paid $20+ recurring). You do need to be a premium member though. You CAN promote this program as a free member, but then the commission rates are cut in half and you get a lot of benefits of being a member there as it is. Learn more. B) They are a domain registrar so you can sell domains there for $1 a year recurring. 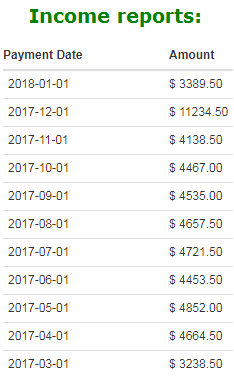 I’ve been promoting that for 2 years now and I’ve hit $1,000 a year (recurring) and it’s rising everyday. It’s like an online savings account. C) You can sell their keyword tool and earn anywhere from $8/month to $155 a year. D) They sell an annual membership of $357 a year ($175 for you) or $299 every Black Friday which amounts to $130 for you, yearly recurring. Personally, WA has been my #1 promotion for years and also the one which as gotten the most customer satisfaction/retention. Of course, as I said before, there’s individual programs out there, but they aren’t really networks. They have their payment processes and deal with transactions individually, but these 5 do it for you and fairly. Most typically are big ticket programs, but I never recommend those because the prices for customers are too high and often unfair. As for these 5 networks, not all of them are great (the last 2 are really good), but at least you have these options, with each one offering more than just 1 thing to sell. My personal experience has been that if you can find 1 program that’s good, pays well and sells well, that it’s enough to be your #1 promotion, hence why Wealthy Affiliate has become that for me. With the rest, there’s a lot of choices, and many of them are really bad, so I only concentrate on promoting what’s good to as many people as I can. Wow! It’s nice to read a blog review that isn’t afraid to completely tell it like it is. I really appreciate the fact that you didn’t sugar coat the review, yet you did have some good things to say about it. I’ve never heard of Clickbetter (sounds like a rip off of Clickbank) but I’ve heard of Warrior Forum before and almost bought into a software program that turned out to have very bad reviews. Thank god I didn’t buy! Yeah the Warrior Forum is one of those places where I advise people be cautious with the product reviews they do or endorse. It is not uncommon to find people promoting horrible products there too. Is good to know that the ratings on Clickbetter are very low. It seems like they are acting like the middleman with poor judgment on who they accept as their marketing vendors. They should really take a page from Amazon’s book. Glad that you made us aware of their rankings, and I will let my audience be aware by sharing this post. Thank you for sharing, and I am happy that you can provide an alternative to your audience as well. All the best. No problem Bishop, good point on equating high standards in Amazon’s vendor and affiliate program with what Clickbetter should strive for. I am sure they’d be a lot more successful if they did. I always learn about new programs and networks when I come across your content. I didn’t know about Clickbetter but after your review, I don’t think I will go look for MMO products on their website. Even though they offer good MMO products, I don’t want to redirect my visitors to potential scams! I am happy to read that ClickBank and Wealthy Affiliate are your favorite networks to find MMO products. I’m a member in both networks and I most agree with your top 5 network list. Once again, thank you for the work you’re doing! Hi Julien, I don’t blame you for not know knowing about Clickbetter, the thing is, many bad products in the MMO market operate such that the only time you see the word Clickbetter is within the checkout cart, and even, you’ll likely forget the name quickly. It’s actually quite common for Clickbank too. But the main point is that I avoid personally (at this time) avoid promoting any product there. Great review about Clickbetter. I will go with your advice and not buy or recommend anyone else buy a product from them mainly because there’s a lack of screenings when they accept a program. I’m surprised to see Clickbank got better, because I do remember the days where it felt like one scam after the next on was there too. Not everything on Clickbetter is a scam Michael, I need to make that point clear. It’s just their policies invite a lot of low quality/scam programs and they destroy the reputation of Clickbetter (which is ultimately their fault). But it doesn’t mean that if you find a good product to promote on there, that you shouldn’t. They may likely be there, although my experience says it’s a rarity. As for Clickbank, they really cleaned things up and while there are still low quality programs there, they are few in my experience and overall, the customer service and vetting inside this place has become a lot better.